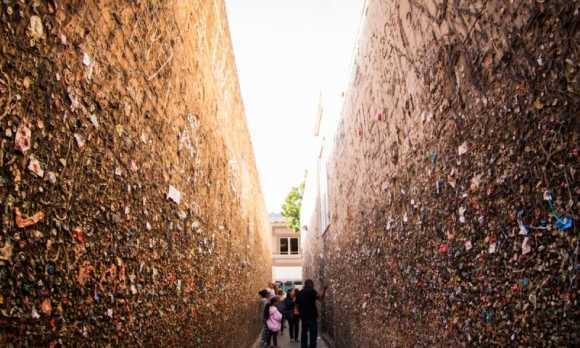 The origin of putting gum on the alley walls is unknown, but by the 1970s the walls were covered and new additions are put up every day. 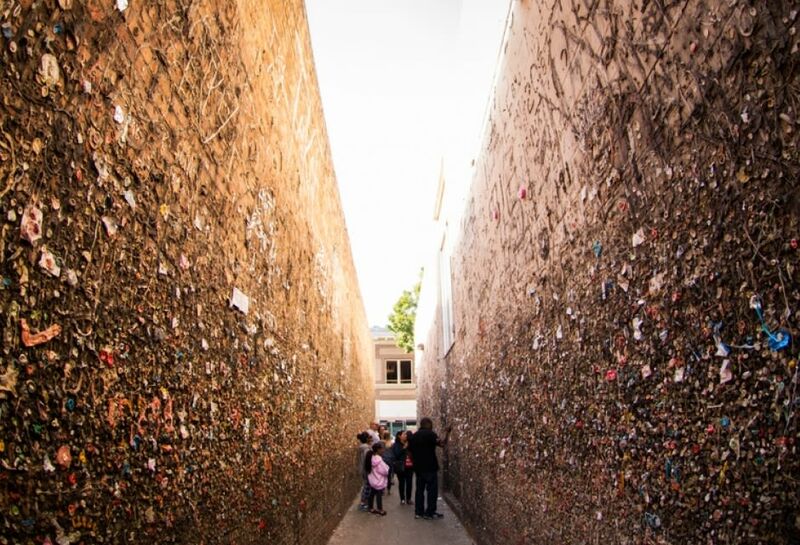 The alley located in the 700 block of Higuera Street is covered in countless pieces of gum. Some choose to chew and stick, while others are more creative and go to lengths, spelling out words.